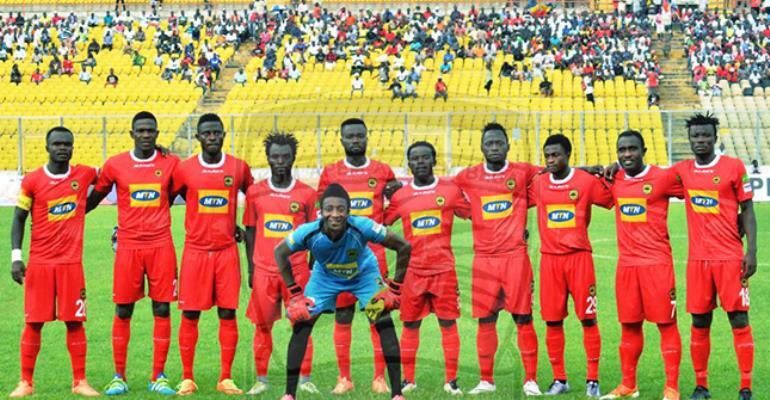 Former management member of Asante Kotoko Afrifa Yamoah Ponkoh has urged the playing body to turn the intimidation they are receiving in Congo as motivation to eliminate CARA Club from the CAF Confederation Cup competition. The Porcupine Warriors will square off against CARA Club in the return leg of the CAF Confederation Cup on Wednesday. Reports however from Congo indicate that the Kotoko team had stepped out to hold their one-hour mandatory training session a day before the clash but the team were stopped by irate fans of the home side for no apparent reason. The tiff left the playing body stranded forcing security personnel to march the playing body safely to their hotel to rest. But Yamoah Ponkoh has implored the team not to be deterred by the situation they are going through but rather use it as a source of motivation to defeat their opponents. "Asante Kotoko players cannot disappoint the fans," Ponkoh told Oyerepa FM. "The happenings in Congo should motivate them to win the game. This has been part of African football since time in memorial and so it shouldn't surprise them." "I will be very surprised should this affect the player's morale and one thing is, we should make sure to utilize any chance we get as early as possible." Kotoko goes into the game with a narrow advantage after winning the first encounter 1-0 at the Baba Yara Sports Stadium fortnight ago.